Hello Spring, can you hear me? I'm practically bathing in your colors right now. 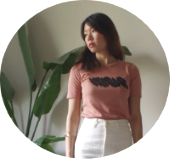 I found this top from Etsy and thought it would go quite well with all the open-knit trends these days. Plus, it's in my favorite pastel of the season- mint! 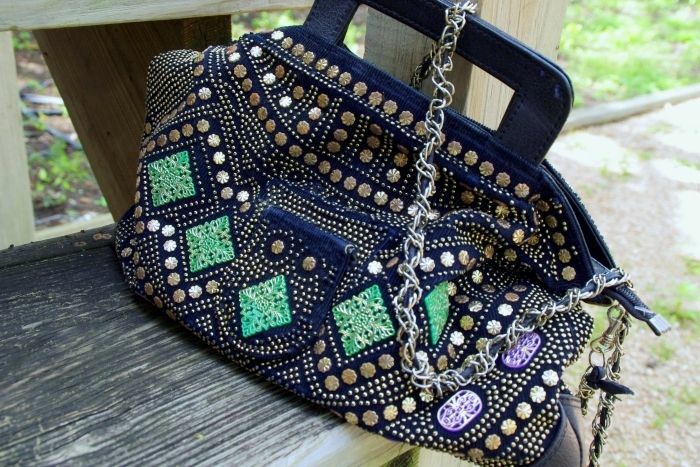 Paired with sky blue flares that I've been saving up and this crazy beaded bag, I think I've got a pretty spring-worthy look. Dontcha think? Some other minty fresh items on the radar! Oh mint is such a fabulous color for spring, I am totally in love with it..and you are rockin it! Really liking this mint green color! The top is such a find! Need to take clues of it! 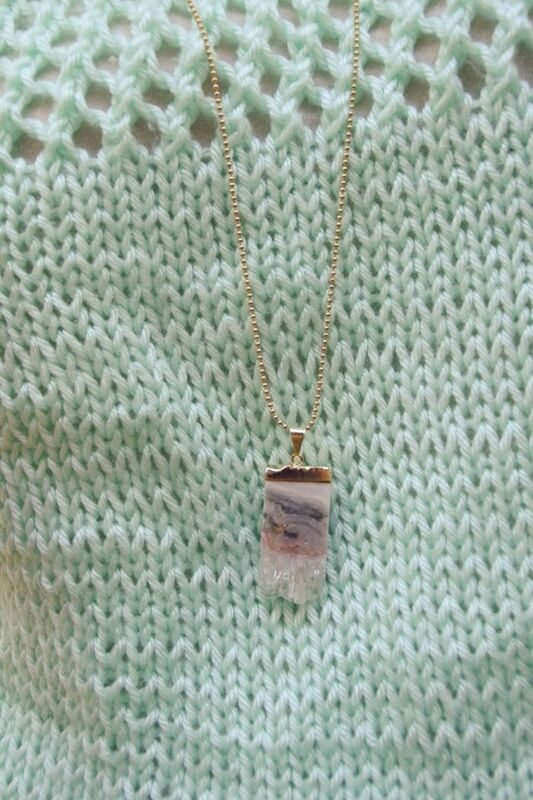 i'm so into natural stone necklaces. i love a woman that works here in portland (stoneandhoney.com). she does some amazing things (i'm a bit nervous to admit i own 4 crystal necklaces, but there ya go).